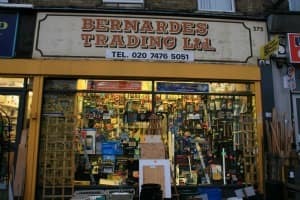 The Bernardes business is a hardware store in the East End of London, which has been in the family for over a hundred years. Their product prices are only in the heads of parents Ian and Jan, who are approaching their 60s. Their son John is in his 30s and he wants to convince his parents to computerize the stock control and have a website for online sales, but he's meeting with a lot of resistance. Produced by the BBC World Service.